I am traveling from Prague to Hong Kong via Munich. It is my first time with transfers and I have no idea about the following. Time for transfer (not boarding!) is just 45 minutes. I read some advice (small airport, same terminal, no care of baggage - one ticket), but do I have to pass through security again (I read about transits, but is it also the case in Munich)? Is it possible to be on time? (I supposed yes, if company offers the ticket). What is your experience with Lufthansa (Economic Basic) and this (or similar) flight? Do I have to claim my baggage? Or does it "wait" 6 hours somewhere? If yes, can I reach it? Do I have to declare things like a bottle of alcohol, a mobile phone (200€) from HK? How much is it away from reality? It seems to me that everybody has something to declare... (I found the EU limit on alcohol is 1 liter. That couldn't be realistic). Thank you very much for any answer on above topics although it is clearly simple for others. I have little experience and I have to be prepared. For your flight to Hong Hong, it's possible to be on time, though there's not much margin for delays. Munich is well-designed for tight connections. I've had that PRG-MUC flight park at a remote stand (a couple years ago, no idea if that's always the case), where you need to be bused to the terminal; that takes additional time. You will go through Schengen exit immigration in Munich, but you will not have to leave the secure area. If you're running late, seek help from Lufthansa staff to get to the front of any line. Since you've purchased a single ticket, Lufthansa will book you on a later flight at no charge if you're not able to make the connection. For your return flight, you can leave the airport once you've gone through immigration. The airport has regular train connections to the city center. Your baggage will likely be checked through during your layover, meaning you won't be able to reach it in Munich. Confirm this with the agent when you check-in in Hong Kong. Customs information for Germany and the Czech Republic (the basic duty-free limits are the same) may be found online. Many travelers will indeed have nothing to declare, as they are not carrying more than these items. 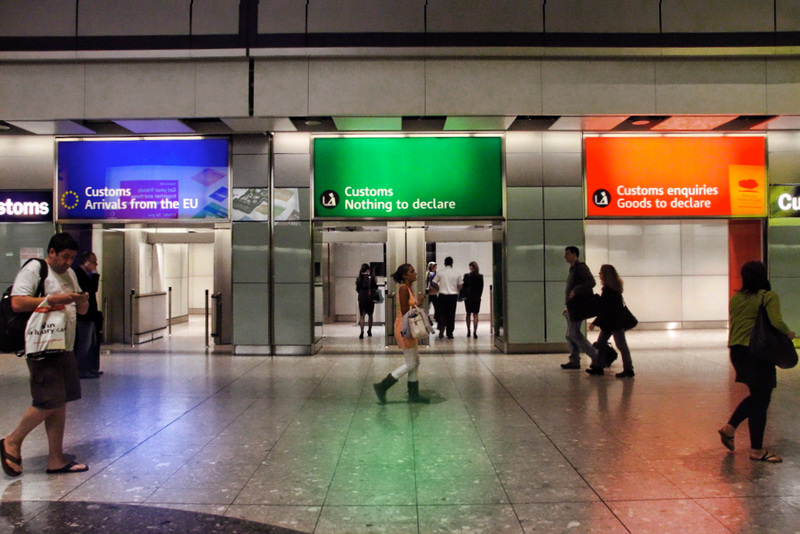 If you have something to declare, you'll find a "goods to declare" red channel where you can speak to a customs officer and pay any applicable duty. Not the answer you're looking for? Browse other questions tagged air-travel airport-transfer layovers lufthansa or ask your own question. Lufthansa connecting flight at Munich, only 45 minutes in between. Will I be able to make it? Lufthansa Rail and Fly to outside of Germany?